On April 18, 2016, the Dallas Museum of Art unveiled Pas de Deux (Plaza Monument), a commissioned outdoor sculpture featuring two larger than life figures by the acclaimed British sculptor, Rebecca Warren. This is a milestone for women in the male-dominated world of sculpture. 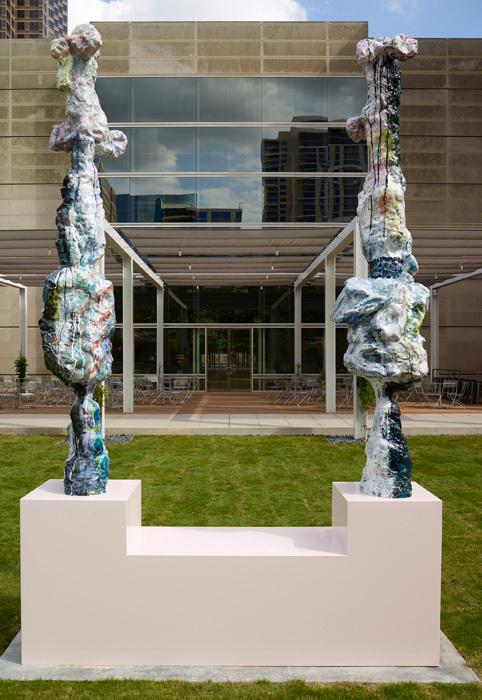 Warren's piece is one of the first commissioned works by a living female artist to be permanently installed at the entrance of an American museum, and it is especially significant because the Dallas Museum of Art is one of the ten largest art museums in the country. 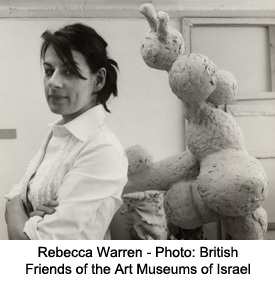 This is also the first outdoor sculpture commission from a U.S. museum for Warren, who has won many awards in England. The acquisition was made possible by a grant from the Kaleta A. Doolin Foundation. Asian-American Women Artists Create "A Place of Her Own"
If you had a place of your own, what would it be? A Place of Her Own is a residency/workshop program where 15 women artists, mainly Asian-American, ages 25 - 72, have been creating art to find answers to that question. Their work will be exhibited from May 19 through June 30 at the Manilatown Heritage Cultural Center in San Francisco. Led by Cynthia Tom, the founder and director of A Place of Her Own, the artists have explored their family patterns, belief systems, identity issues, and personal traumas through a semester-long program of intuitive art-making and visual meditation. 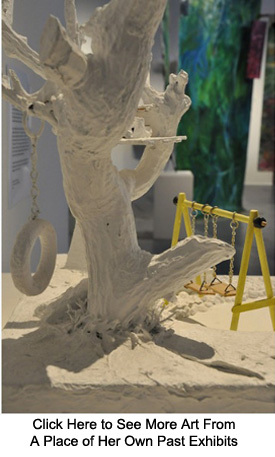 They have expressed their visions using found objects, photography, collage and other media. Curated by Cynthia Tom and Maggie Yee, the exhibit will include a sound sculpture, a knitted landscape, thought-provoking baby jars, and more. As Cynthia Tom points out, "Women, through necessity and parental or cultural training, learn to compromise themselves. Women often set aside their own needs to support others. Rarely have women learned to reclaim a place of their own, metaphorically or physically. 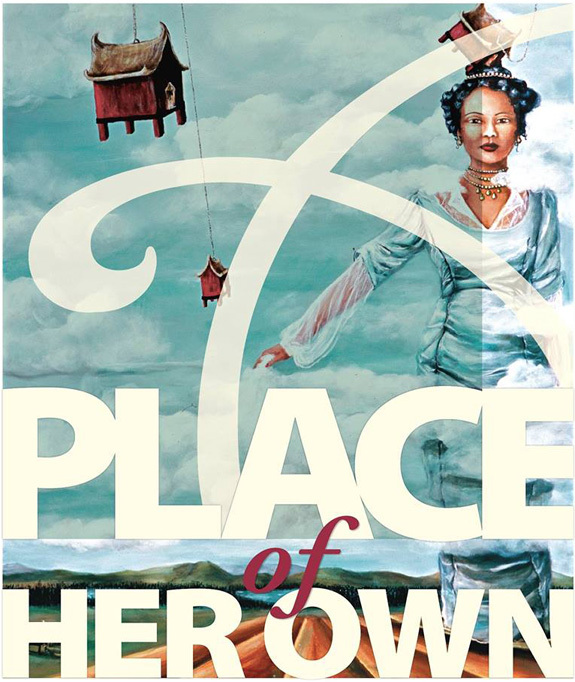 A Place of Her Own lets women discover a place which is bound by the imagination and nothing more." At the Opening Night celebration of the exhibit on Thursday, May 19 at 6 p.m., visitors will have an opportunity to sample this creative process by participating in three self-guided art-making workstations. Please visit the website and Facebook page of A Place of Her Own for more information about the exhibit and registration for future workshops. See more art from past exhibits on their Flickr pages. A Place of Her Own is a project of the Asian American Women Artists Association. The exhibit is presented by the Asian Pacific Islander Cultural Center as part of their 19th annual United States of Asian America Festival and by the San Francisco Arts Commission. Are You A Theatre Or Film/Video Artist Looking for Funding? Women in the Arts and Media Coalition in collaboration with WomenArts and the League of Professional Theatre Women is publishing FREE newsletters for theatre and film/video artists listing submission opportunities, grants, auditions, residencies and more. You can follow #StageOpps and #ScreenOpps on Twitter or see the latest issues by visiting the Coalition's website. New issues are available online on the first of every month.